The capability of making use of existing prior knowledge is an important challenge for Knowledge Discovery tasks. As an unsupervised learning task, clustering appears to be one of the tasks that more benefits might obtain from prior knowledge. In this paper, we propose a method for providing declarative prior knowledge to a hierarchical clustering system stressing the interactive component. 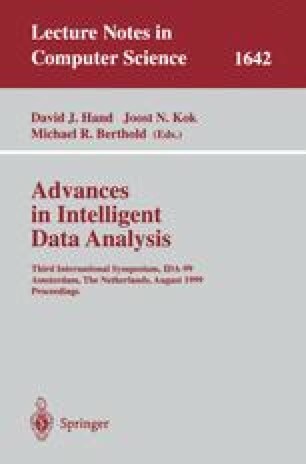 Preliminary results suggest that declarative knowledge is a powerful bias in order to improve the quality of clustering in domains were the internal biases of the system are inappropriate or there is not enough evidence in data and that it can lead the system to build more comprehensible clusterings.